What just happened? Following long-running rumors that it was working on the service, the Amazon-owned movie database site IMDb has finally launched Freedive, a free, ad-supported streaming platform. News that Amazon was developing Freedive first surfaced last summer, and it has now confirmed that the service's launch in the US. 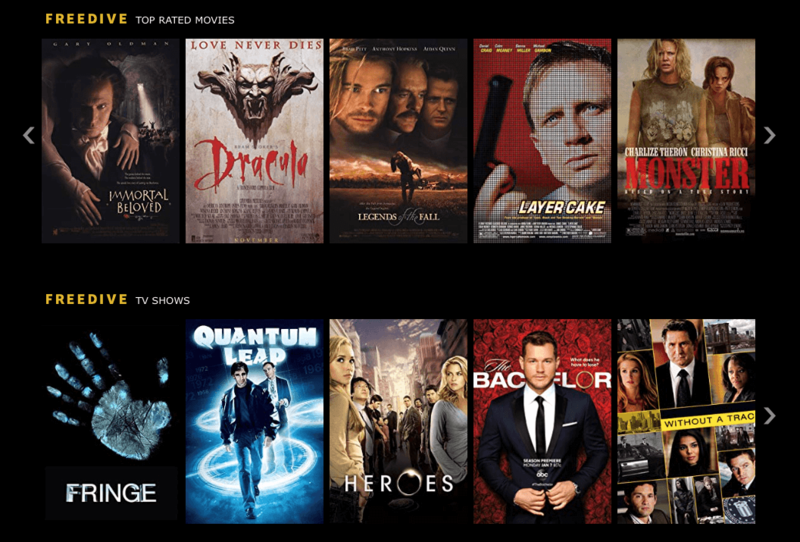 Right now, there are 130 featured movies and 29 TV shows that can be streamed for free. Most of these are older titles including Fringe, Quantum Leap, and Without a Trace, along with movies such as Memento, The Illusionist, and Monster. Amazon said it would be continually adding new titles as time goes on. Users also get access to the same IMDb-powered X-Ray feature found on Amazon Prime, which offers on-screen information about cast, crew, trivia, soundtracks and more for each scene. If you’ve got an IMDb or Amazon account, you can start watching Freedive at https://www.imdb.com/freedive. It’s also available through the IMDb website (PC and laptop) and on all Amazon Fire TV devices. Amazon added that it would soon be available on mobile via the IMDb app. Like most streaming sites, Freedive breaks titles up into different categories: sci-fi, chills and thrills, comedies, etc. There’s also a ‘Hits of the 80s’ section containing a couple of classics. While Amazon’s millions of Prime members bring in plenty of cash via subscriptions, Freedive will generate even more advertising revenue while helping it compete against other free, ad-supported services.